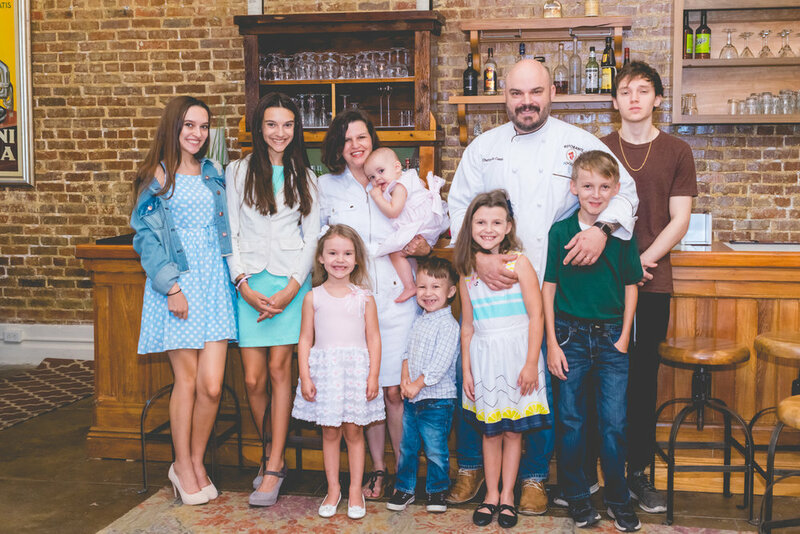 Paolo, Emily and their 8 children --- that’s right, 8 of them, ranging from 18 year old Dominick (who works in the kitchen with Paolo) to 6 months old Gianna --- live only 5 blocks from their restaurant. So Paolo is there night and day, living his dream. The man just loves to cook.